Award-winning actors, iconic rock stars, champion athletes, and controversial political figures — all have shared their coming-out stories with The Advocate. Not everyone comes out voluntarily. In one of the most controversial cover stories in The Advocate’s history, Michelangelo Signorile outed Bush Sr.’s closeted assistant secretary of Defense for public affairs. 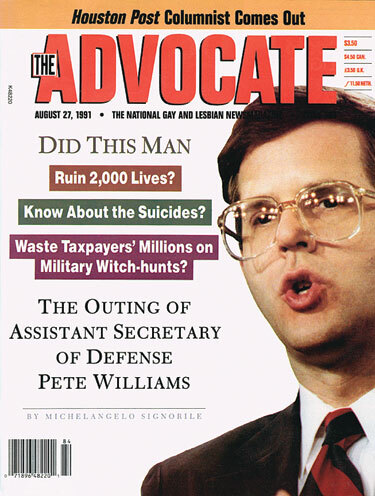 Pentagon spokesman Pete Williams took self-loathing to new heights by insisting he supported the military’s total ban on gays and lesbians in the very same article in which The Advocate outed him. Within a year, Bill Clinton, then a candidate for president, cited a gay “Pentagon official” while promising to overturn the ban. Williams went on to become a correspondent for NBC News who viewers now regularly see speed-reading Supreme Court rulings as we await breaking news. 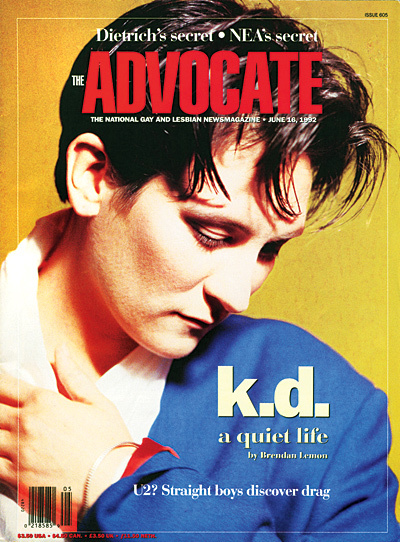 She broke new ground by coming out on the cover of The Advocate in 1992, but the Canadian country-pop musician wanted the world to know she wasn’t ready to be called an activist simply for loving other women. The next year lang appeared on the cover of Vanity Fair, seated in a barber chair while supermodel Cindy Crawford stood behind her and appeared to be giving lang a good shave — on her face. She would later become a fierce advocate for LGBT rights. 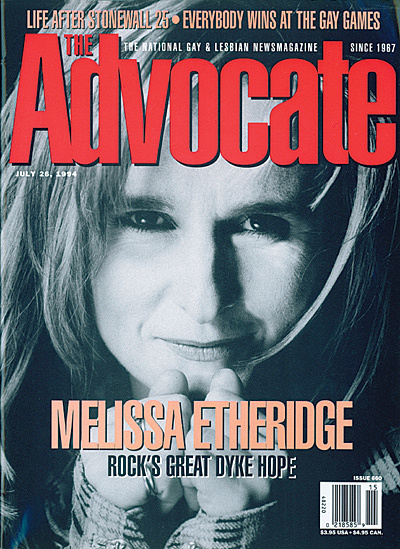 The Grammy Award-winning rocker spoke to The Advocate a year and a half after she came out while celebrating the inauguration of President Clinton and revealed what had been her greatest fear about being open. Two ex-wives and four kids later, Etheridge is still a leading equality activist.